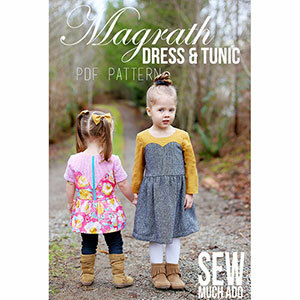 The Magrath Dress & Tunic features options for a front sweetheart yoke, back curved piecing, and an exposed zipper! 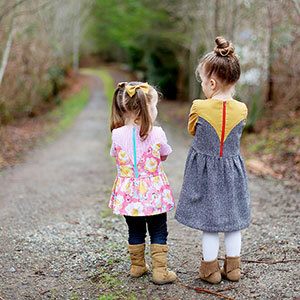 The pattern includes short, 3/4, or long sleeve options, as well as both dress and tunic lengths. Mix and match your favorite fabrics for endless combinations! 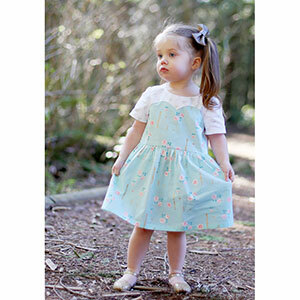 This pattern is available in sizes 12m to 12 years. 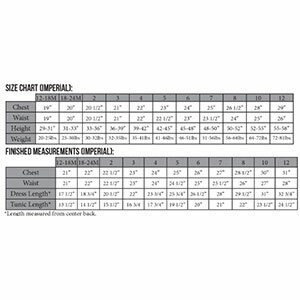 Suggested fabrics are cotton jersey, cotton lycra, vegan leather, ponte de roma, french terry, and specialty knits like lace for the accents.